The story of the 1969 New York Mets’ season has long since entered sports lore as one of the most remarkable of all time. Wayne Coffey captures the voices of players and fans, reporters and umpires, to bring to life this moment. Sign me up to receive news about Wayne Coffey. Thanks to Penguin First to Read. I very much enjoyed this book. I have really enjoyed the start of the 2019 MLB season this year and found reading this book in conjunction with that to be a real joy. This book follows the 69 Mets, but is about much more. The author does a nice job of bringing in the personal stories of many of the players, set against the backdrop of the time. 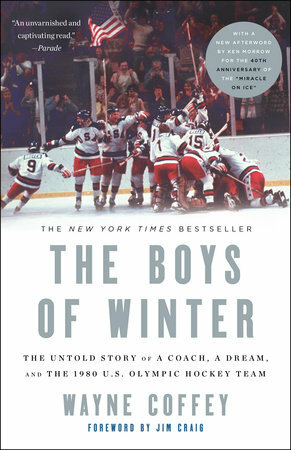 The author really explores the pivotal moments throughout the year and draws out those players that contributed in those moments. I would recommend this book to any baseball fan. While reading this, I thought back to many memories I shared with my grandfather watching Pirates baseball in the late 80's and early 90's. It brought back a warm nostalgia for times gone by. The New York Mets shocked the baseball world in 1969 by winning the World Series in their eighth year of existence. In the previous seven years they had finished either last or next to last place. 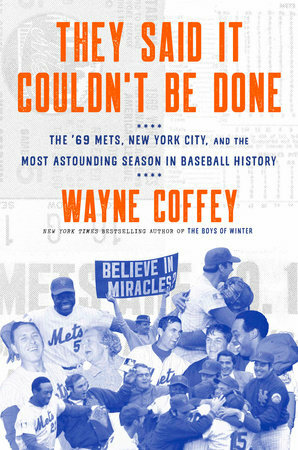 While they have been dubbed the “Miracle Mets” and also the “Amazin’ Mets”, this book by Wayne Coffey goes into great detail to illustrate that their win was not really a “miracle” or “amazing.” Instead, it tells the details of how the team was put together, the background of most of the players and how the season and postseason baseball played by the team was simply excellent. By placing well-detailed short synopsizes of players within the details of key games and each postseason game of 1969, Coffey does a very good job of explaining to the reader that this Mets team was not one that surprised themselves by being good. Indeed, this team, to a man, started to believe in itself the previous season as the manager, Gil Hodges, installed a quiet yet firm atmosphere of confidence in his club. The reader can’t go more than a few pages without reading about someone stating that Hodges’ leadership was crucial to both his own success and that of the Mets. As does most baseball books that cover a particular year or era, this book also has references to the important issues of the year such as the civil rights movement, the Woodstock music festival (there is a nice tie-in between the team and the story of a fan who attended the event) and man’s first walk on the moon that year. There are a few of these event that feel like they are simply inserted into the book without much reason, but for the most part, they match what is going on with the team. The best connections to the events of the day are how the embattled mayor of New York City that year, John Lindsey, attached himself to the Mets to gain any political advantage. However, the best writing of the book is the very detailed description of the eight postseason games played by the Mets. The reader will learn about practically every play in the three games against the Atlanta Braves in the National League Championship Series (a three game sweep for the Mets) and the five World Series games against the Baltimore Orioles. Some of the best player stories are here as well, tied in with some of the best description of terrific play as well. One that stood out to me was outfielder Tommie Agee – both in Coffey’s story about his struggles in the segregated South and his two outstanding catches in the World Series. Mets fans will want to pick up this book to either relive that wonderful season for their team or to learn more about the players and manager as well as the baseball. I wish to thank Crown Archetype for providing a copy of the book in exchange for an honest review. I really enjoyed this book. I have always heard about the miracle of the '69 Mets. It was interesting to read about how they made their miracle. This book was well researched. The story and writing kept this Cubs fan interested from beginning to end. I would recommend this book not just to baseball fans, it's tale of hard work and good planning that goes beyond the baseball world.